One chance, bang!” That’s what Cristiano Ronaldo exulted after brilliantly placing the ball into the Juventus’ net to give Real Madrid the lead in their Champions League final clash in Cardiff. It was only 20 minutes into the game, and already the Portuguese was in a celebratory mood. His team did need more than that one chance though, thanks to an absolute stunner of a goal from Mario Mandzukic. The Croatian’s overhead kick, which was compared to Zinedine Zidane’s 2002 Champions League goal in the final against Bayer Leverkusen, saw his team draw level. Unfortunately for Mandzukic and Juventus, quality strikes earn only brownie points. Before the final, the Italian giants had conceded just three goals in their entire campaign, and mind you, they played the likes of Barcelona and Monaco. And if they could easily thwart the trio of Luis Suarez, Lionel Messi and Neymar then one would think Real Madrid would find it even more difficult to breach Gianluigi Buffon’s goal. But then Ronaldo had other plans, like he so often does. He didn’t need a second invitation to take a shot when Luka Modric squared the ball to him. Surely you’ve read many articles and probably watched the highlights of the match by now. So let’s go beyond the match. Let’s see what the title triumph really means to Real Madrid. 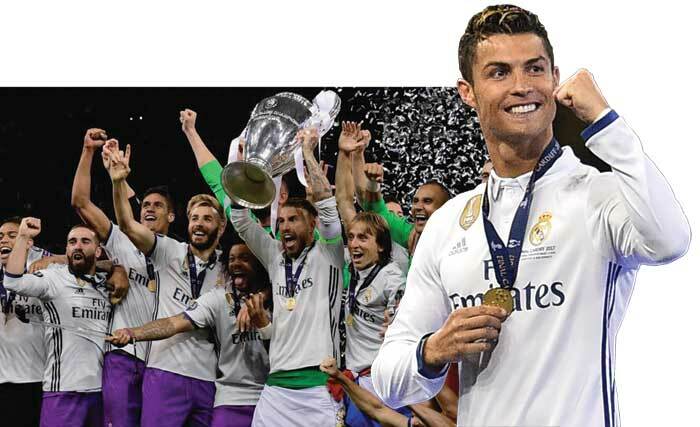 After seeing Lionel Messi and Barcelona reign with four titles in a decade, Cristiano Ronaldo’s Madrid raised its game the last four seasons and again became the team to beat in the continent. It’s not for anything then that the fans started singing “Somos los reyes de Europa (We are the kings of Europe),” a traditional team chant. The players believe they are “defining an era”. The win also made them the first team to win back-to-back titles in the Champions League era. It was the team’s sixth title since the competition’s new format was created in 1992, two more than Barcelona. The two Spanish clubs have dominated in the Champion League, winning six of the last nine titles, but Madrid had gone 12 years without lifting the trophy while Barcelona and Messi thrived. Madrid now has five titles more than AC Milan, the second most successful European club all-time. Barcelona has five.